Our company is your most reliable tree trimming and landscaping service in the area. With over 27 years of local experience in commercial and residential tree trimming we can help you with all of your tree trimming, planting and unfortunately, sometimes removals! 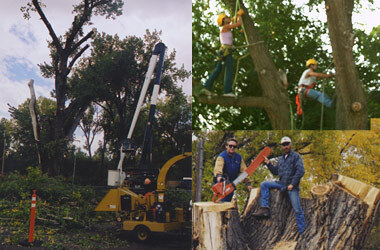 We use a broad range of tree trimming techniques, with dangerous and hard to get places being our specialty. We are fully licensed and insured. With our experienced climbers and certified crew, with our 82 and 45 ft boom trucks,ready to go, we guarantee to provide the best service possible.